Cataloging Collaborations and Partnerships provides the reader with many examples of successful methods in which libraries have collaborated with each other to achieve common goals. Addressing a variety of cataloging and managerial challenges in national, public, academic, and international libraries and other organizations, it will be enlightening to readers who are investigating new ways of meeting their patrons’ needs. 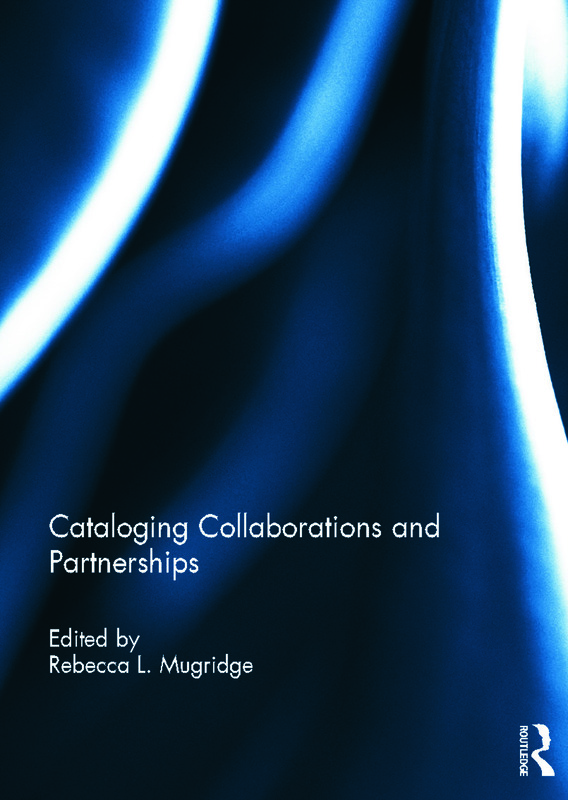 The collaborative efforts described in this book fall into a number of broad categories: cooperative cataloging and authority initiatives, cataloging partnerships, merging and migrating online catalogs, development of training and documentation, and collaborative approaches to special projects. Included are four chapters that address collaborative projects in Europe, the West Indies, the Galapagos Islands, and South Sudan. Catalogers, managers and administrators will find inspiration in these important, and in some cases, historic collaborations. They will understand how collaborations and partnerships in cataloging will help them achieve more by sharing resources and expertise, sharing the burden of new projects and initiatives, and fostering innovation and new ways of thinking. This book was published as a triple special issue of Cataloging and Classification Quarterly. Rebecca L. Mugridge is Associate Director for Technical Services and Library Systems at the University at Albany, SUNY. She has also worked at the Pennsylvania State University, Yale University, Robert Morris University, and the University of Pittsburgh. Ms. Mugridge has a BA in history from Penn State, an MLS from the University of Pittsburgh, and an MBA from Robert Morris University.